Scotland’s capital is becoming ” a magnet for global investment” . 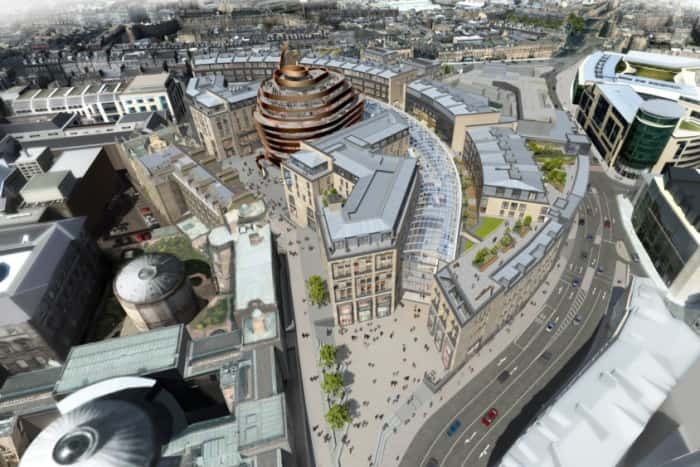 One of the UK’s largest and most significant regeneration projects, the £1 billion Edinburgh St James development is due to open in 2020 – bringing 850,000 square feet of shopping space, alongside a luxury 214-room W Hotel, an aparthotel, a multi-screen cinema and up to 150 new homes. A new Meadowbank Stadium will be built. Tourism and finance sectors are particularly buoyant. Levenmouth looks across the Firth to Edinburgh but this economic boom almost on our doorstep largely bypasses its residents. Employment in prospering Edinburgh is not really manageable commuting by bus and rood congestion, especially at peak times make car journeys problematic especially at peak times. Only the reinstatement of direct rail services reducing one-way journeytime to one hour, will enable this. Otherwise it’s a different world. area which carries long-term benefits not only for the core but the periphery. Before Edinburgh growth unbalances the entire Scottish economy it is critical that goverment and ither public bodies invest in the connections which mean a wider share or inclusion in this growth. It also requires the immediate redirection of any public funding which does not need to be based in the capital – the private sector can drive Edinburgh’s economy. Until a Leven-Edinburgh service is reinstated – a simple and inexpensive measure – Levenmouth can only observe this boom from afar, not participate in it.